Travelers & business travelers know the struggle of internet connectivity all too well, How to stay connected while traveling is a constant juggle between sim cards, wi-fi connections, roaming and asking for passwords. If you are a digital nomad, a travel industry professional, a business traveler, or a blogger/social media influencer whose survival strategy is having the internet at your fingertips 24/7, then you understand what we are talking about. Tep Wireless is a telecommunications company that provides mobile broadband for international travelers in over 100 countries via Teppy, a pocket-sized wireless device that acts as a mobile hotspot for up to five devices at a time. No more sim card switches (and losses), no more expensive roaming costs and no more being limited to your hotel’s or cafe wifi. Teppy uses patented virtual SIM technology to allow seamless connectivity all over the world. When you power Teppy on, it will automatically figure out what country it’s in, and choose the best network operator for you, via a bank of SIM cards it can access in the cloud. There is something for any kind of traveler and you never have to use your data with caution because Teppy gives you unlimited internet. Frequent travelers can buy their own 4G Teppy, but if you’re not traveling regularly, don’t worry, you can rent Teppy and pay per day; your Teppy will be shipped to your desired address before you depart, or you can have it directly shipped to your destination. In London, you can even pick up your Teppy at Heathrow Airport and Paddington Station after placing your order. At the end of your journey, you can use the prepaid return envelope to send Teppy back to Tep Wireless. 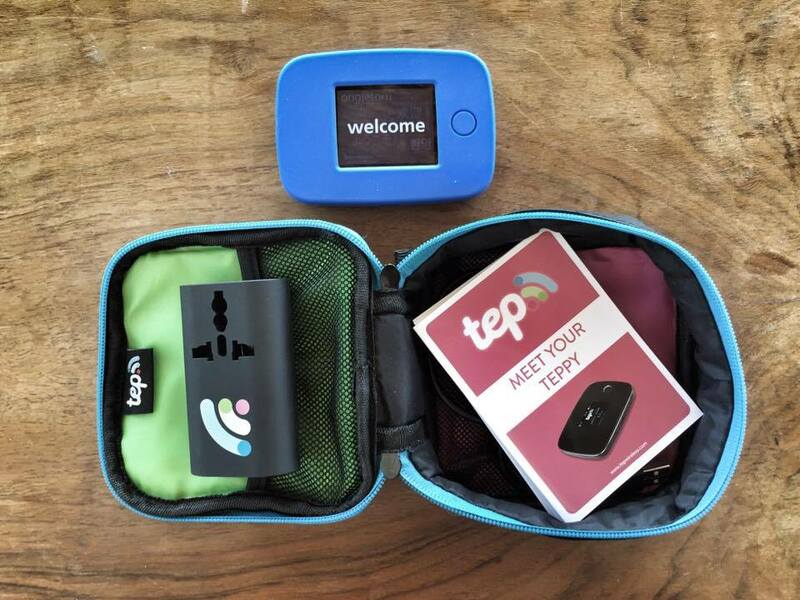 There are also extras available such as renting a power bank, a car charger and a smart luggage tag and if ever you encounter technical or connectivity problems you can call Tep Wireless for free via their app. So where are you off to next? Fiji? The Cayman Islands? Peru? Kenya? Teppy got you and your deadlines, proposals and that perfect Instagram shot covered, even if you travel to multiple countries. For more information on how you can stay connected and how to get a referral link as a blogger or online travel agency and become part of their affiliate or referral program visit them at www.tepwireless.com.